Many things in life are complex. Needlessly complicated, even. Happily, caring and maintaining an inflatable boat, provided the boat is of good quality, is simple. So in this short article I’ll show you how to care for and maintain your inflatable boat. Since I own a Sea Eagle inflatable kayak, that is the boat this article is based on. But the information should, for the most part, transfer to most other inflatable boats and kayaks on the market today. This is perhaps the most important thing a person can do to keep their boat happy and leak free. When in storage, a dry boat is a happy boat. A dry boat won’t have mildew or rot forming on the fabric, both of which can weaken the fabric of the inflatable boat. This doesn’t mean that you must take a towel and wipe the boat dry after each use. No. What it means is that before you pack your boat away in a confined space (such as the boats storage bag) where it will spend weeks, months or years, just be sure the boat is completely dry. A dry boat will emerge from a long hibernation in storage in the same condition that it was when you put it there. A wet boat is likely to emerge slimy, smelly and weakened. The importance of keeping your inflatable boat clean can’t be understated. This doesn’t mean you must wash the boat down after every use. 3M Cleaner. Designed to clean inflatable boats and kayaks. But what it does mean is that you don’t want to leave a boat dirty for long periods of time. Dirt and grime will, over time, degrade some inflatable boat materials. Moreover, the dirt, even left to sit for long periods of time, often can stain a boats fabric. Above all, be sure to clean your boat before putting it into storage—especially storage where the boat is put into its carry sack and then forgotten about for weeks or months. Sadly, stains on your boat still happen. Oil, blood, bird droppings, and scuffs from black-soled sandals…the list is endless. These stains are not detrimental to the boat. Just cosmetic. But if you want to remove these stains, then buy some 3M Marine Cleaner and Restorer (available through Sea Eagle and marine supply retail stores). 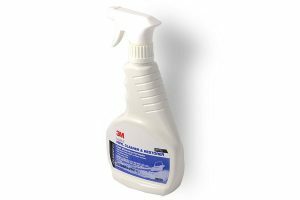 This handy cleaner removes virtually all stains from inflatable boats. A quality inflatable boat, such as those made by Sea Eagle, NRS and Aire, are designed for UV resistance. Nonetheless, even the most UV resistant boat can, over time with extended use, weaken due to UV rays. Long-term exposure to UV rays will, over extended periods of time, make an inflatable boats fabric brittle. 303 Protectant protects boats from the Sun’s UV Rays. Good quality boats degrade much, much slower than lower quality boats that line the shelves at Wal-Mart. But even the best inflatable kayaks and rafts aren’t immune to the sun—just very resistant to it. So to help your boat out, it’s a good idea to give your boat a squirt of UV protectant designed for inflatable boats. For Sea Eagle products, they suggest 303 Protectant, to be applied every 30-45 days for boats that are stored in the sun. 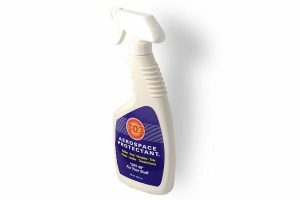 For inflatable boats that aren’t stored outside in the sun all day long, it is only necessary to apply this protectant once a year. 303 Protectant is available through Sea Eagle, NRS and Amazon. NRS also sells another protectant for inflatable boats from Blue Marine. Important Note. NRS and Sea Eagle sell only the 303 protectant that’s designed for inflatable boats. Thus, there’s no worry about buying the wrong type of protectant. By contrast, Amazon sells the entire product line of 303 protectant products. If you buy 303 Protectant through Amazon, be doubly sure to get the right protectant. Putting a protectant designed for leather or plastics on your boat won’t do your boat any good, and could potentially harm it. View 303 Protectant Products at Amazon. You spent a lot of money to buy a quality inflatable raft or kayak. It’s simple to keep it looking practically like new and for the boat to provide reliable service for decades to come. So be sure to keep your boat dry, clean and protected from the sun. If you can do that, the odds are good that your boat might very well outlast you.